In today’s increasingly competitive business market, all enterprises are looking for ways to distinguish themselves. The introduction of new technology that updates the current management model is necessary to not only enhance operating performance, but also project a professional corporate image that boosts customer satisfaction. In recent years, the Internet of Things (IoT) and cloud platforms have become popular trends that promise to deliver increased management efficiency and reduced costs. Consider an automobile financing company that owns numerous garages for storing pledged vehicles as an example. The company hoped to leverage the automatic data collection, real-time display, and remote monitoring advantages of the IoT in order to replace conventional guard-based security management with centralized security management that could be remotely controlled from their head office. This method of non-manned security management involving remote vehicle monitoring and facility access control can also be applied to the transport of dangerous or high-value goods by road for preventing theft and interference. However, because general data acquisition modules for IoT applications only collect front-end data, an upper-level computer with embedded software must be integrated to serve as a gateway for enabling the collected data to be uploaded to a cloud platform. Additionally, dedicated network lines and back-end management software must be installed. This multi-layer system architecture raises the initial equipment costs and leads to high system complexity and costly ongoing maintenance. Fortunately, Advantech's WISE IoT cloud monitoring platform offers a solution that differs from traditional monitoring modules. The WISE IoT cloud platform can deliver collected data directly to back-end management software without requiring a gateway or network cables, and supports the use of public clouds and the Message Queuing Telemetry Transport (MQTT) protocol to enable remote monitoring. This platform can significantly reduce implementation costs and effectively improve management efficiency by offering enterprises a streamlined, fully functional, and cost-effective remote monitoring solution. The client was a non-bank automobile financing company headquartered in Hangzhou, China, that operates several garages in Jiangsu, Zhejiang, and Shanghai for parking pledged vehicles. Although multiple guards are employed to monitor and secure garage access, the company’s head office is typically unaware of the garage operations due to a lack of transparent information communication. The use of on-site security guards to manage garage security makes operations more vulnerable to issues such as unauthorized access or vehicle theft, which could generate significant financial losses for the company. Additionally, with the business experiencing rapid growth, the company planned to establish branch offices in major cities across China. Accordingly, the company was keen to take advantage of technologies for automated centralized management in order to improve management efficiency and vehicle security, while substantially reducing personnel costs. To accelerate the implementation of IoT applications, the financing company wanted an out-of-the-box solution without sacrificing functionality. The related hardware and software products needed to have the stability and durability to support 24-hour continuous monitoring, as well as a suitable encryption mechanism to secure data transmissions. In addition to remotely controlling the opening/closing of 120 garage doors, the new system needed to be equipped with video surveillance and real-time display capabilities because every garage will be equipped with security cameras. Furthermore, the configuration, including software, hardware, and network services, needed to be as simple as possible to reduce system complexity and enable the company to rapidly implement the same system at its various facilities across the country. For this project, the required functions included automatic detection of garage door open/closed status (two digital inputs), remote open/close/pause control of garage door access (three digital outputs), and integrated video surveillance. 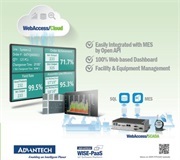 Advantech’s IoT cloud monitoring platform utilized only two products, Advantech’s WISE-4050 wireless I/O module and WebAccess SCADA software, to achieve remote monitoring and access control of multiple garages located in different cities. By supporting the MQTT protocol, Advantech's solution allows users to rent public cloud services and install WebAccess on their servers. This enables the garage door monitoring system to receive signals and event triggers through the on-site WISE-4050 module, which not only eliminates the need to purchase servers, switches, IP addresses, and network lines, but also shortens the system development time. With these advantages, the client was able to complete software installation on Alibaba Cloud and achieve remote control within half a day. The integration of relevant hardware and software was simple and easy to complete because the WISE-4050 wireless module features data acquisition, processing, and communication capabilities. With built-in cloud connectivity software, WISE-4050 is able to transmit data over Wi-Fi (802.11 b/g/n), eliminating the need for a host computer and network cables. RTC time stamp and automatic retransmission after disconnection functions were also integrated to eliminate concerns regarding data loss. Moreover, the provision of WPA2, HTTPS, white-list filtering, and other encryption protections ensures the security of data transmissions. 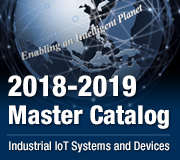 During the one-month trial period (under 24-hour continuous operation) WISE-4050 delivered zero-fault performance, proving that Advantech’s industrial-grade IoT wireless data acquisition module offers excellent stability. The hardware also supports a wide operating temperature range (-25 ~ 70 °C) and can withstanddiverse weather conditions and climates, making it suitable for installation in various cities across China. 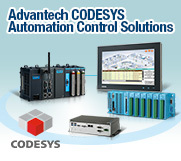 Regarding the software, Advantech’s WebAccess ready-to-use HMI/SCADA software is browser based and features powerful monitoring and management capabilities. In addition to supporting dynamic displays of front-end data and facilitating alarm management, command control, database maintenance, historical and real-time trend graphs, and many other useful functions, WebAccess allows users to access the monitoring system froma variety of standard browsers. To ensure the easy integration of third-party software and diverse hardware devices, Advantech’s IoT monitoring platform supports multiple open interfaces, drivers, and communication protocols. This allows the platform to be integrated with video surveillance cameras to satisfy the project requirement of providing a single system for monitoring garage access and video surveillance. In response to ever-changing market challenges, most industries agree that the IoT is a necessary tool for enhancing enterprise competitiveness and management efficacy. However, because enterprises are committed to pursuing maximum investment returns, overly complex system architecture and high implementation and maintenance costs can present significant barriers to deployment. Considering this project as an example, none of the solutions currently available on the market can fully satisfy the company’s requirements. The company had invited several smart home vendors to propose solutions. Unfortunately, these vendors did not have industrial control expertise and had to redesign their software to address deficiencies, generating high post-maintenance costs. Such factors will ultimately only delay the deployment of IoT applications. 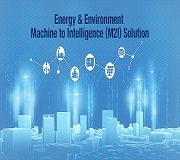 Advantech is a leading company of the global industrial control industry and has invested in the IoT market for several years. The practical experience and numerous successful implementation cases accumulated over the years demonstrates Advantech’s expertise and ability to deliver reliable solutions that satisfy customers. 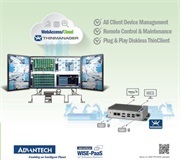 Advantech's WISE IoT cloud monitoring platform has passed the company's rigorous product testing, with the simplified system architecture offering up to a 30% reduction in implementation costs. The system stability and data transmission security enables accurate monitoring and control to effectively improve management efficiency through centralized cloud management. Additionally, the WISE-4000 series wireless module and WebAccess remote monitoring platform provide flexible hardware and software solutions with abundant functions for satisfying a range of application requirements.